Keen for a whiskey in a classy bar? Want an amazing meal while you’re at it? Too hipster to go to a bar that you can actually find easily? Then Varnish is for you! 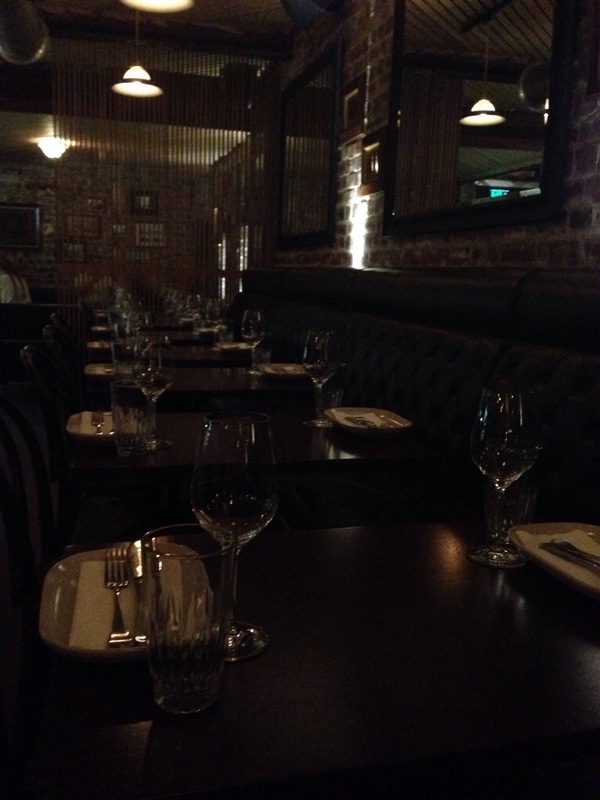 You’ll find Varnish on the basement level of King street, behind heavy wooden doors and down a flight of stairs overlooking a wine cellar. We visited for our Valentines day dinner. The inside is dimly lit, full of wood, American artifacts and leather. The staff are attentive and you’ll be quickly catered to for both food and drinks, with an extremely long list of whisky’s to sample. The food comes out as ready and most were designed to be shared. 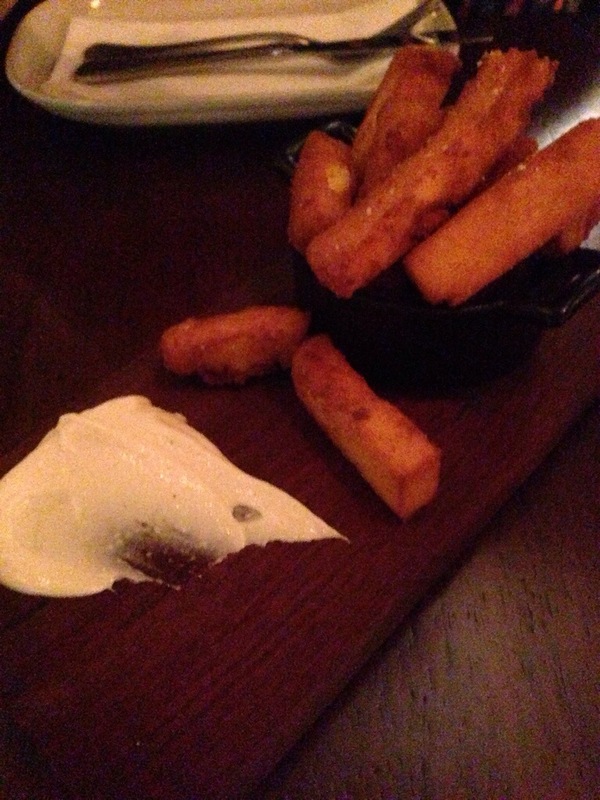 The first dish we sampled were corn fries with a roasted garlic mayonnaise. The chips were perfectly crisp with a beautiful crunch, the flavour of the corn and polenta was clear. The only downside of this dish was the fantastic mayo came in such a small serve! These chips really deserved a good dollop of mayo to properly appreciate their brilliance and the little smear on the dish just wasn’t enough. The next dish to come out was the sweet potato, goats curd and Brussel sprout salad. The flavour combinations in the dish just worked so well. The creaminess and touch of tart from the goats curd was in contrast to the sweetness of the sweet potato. The Brussel sprout salad was delicious, Brussel sprouts seem to have such a bad reputation, and while I was already a convert put this dish in front of anyone and I challenge them not to enjoy it. 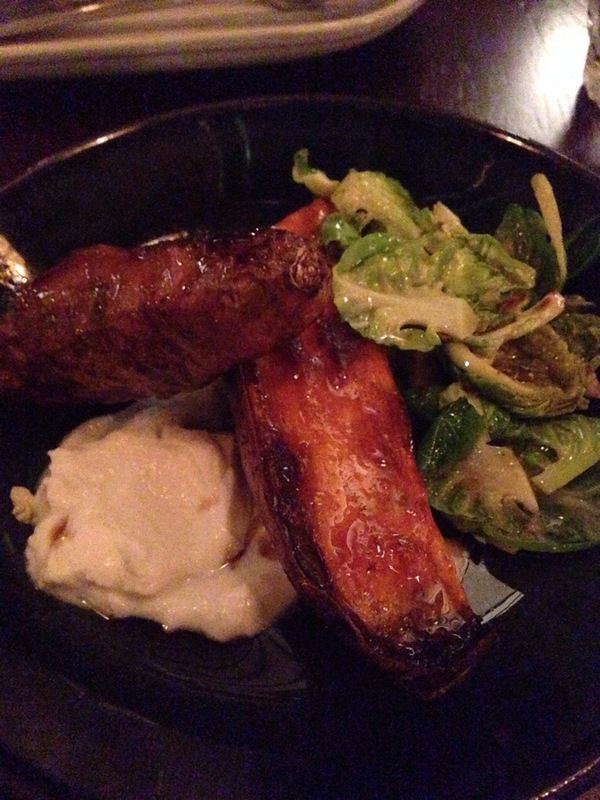 The dish of the evening however was the short back ribs. 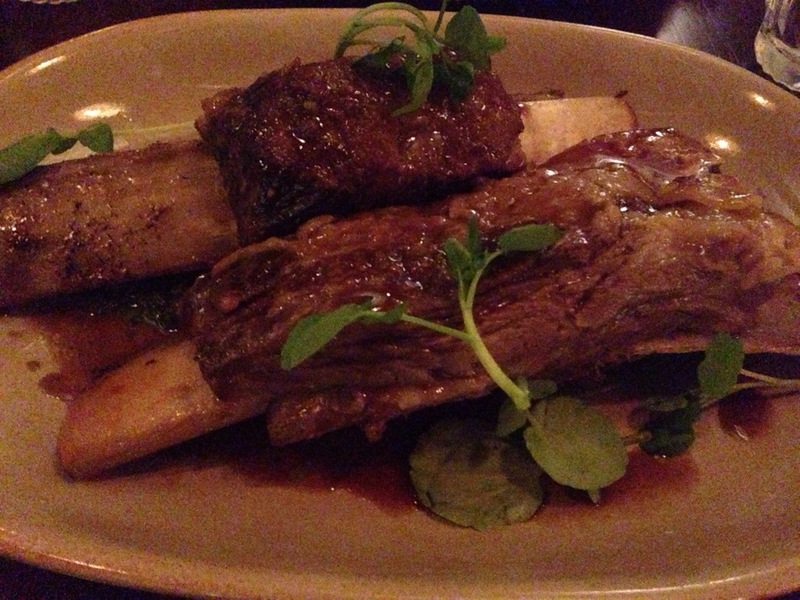 The beef ribs were delectable, hulking huge and easy to share with tender meat that just fell from the bone. The sauce it a came with added a touch of zest, and tang to the flavour, just an added bonus to the already wholesome flavour. We were very excited about the pork belly and scampi with fennel and caper salad but were sadly disappointed. 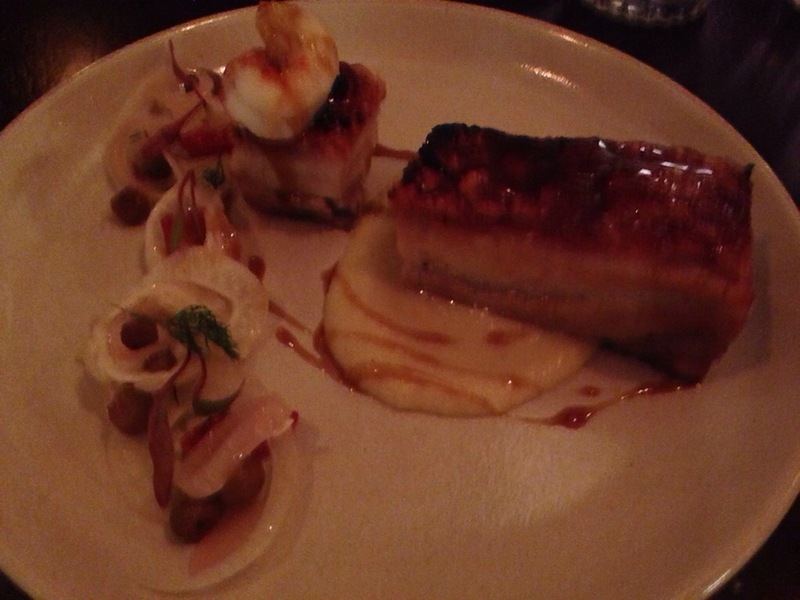 The pork belly was a little glutinous, and lacking in flavour, it just wasn’t a particularly interesting dish. The salad too went mostly untouched and there was only a single scampi. Compared to their other dishes it just didn’t meet the standard. Ah the great American fascination with PB&J it’s something that I confess I can’t completely understand but nevertheless we decided to give the – now wait this is a mouthful – Peanut Butter fudge, cranberry jam, apricot jam and crispy bacon ‘sandwich’ a go. This was a new conception based on an old formula and I have to say the first bite of the peanut butter fudge I knew that we had made the right decision. I’m confident I could eat it by the bowlful like ice cream after a break up. It was deliciously morish, rich with a hint of salt, that just worked with the sweetness of the jams. 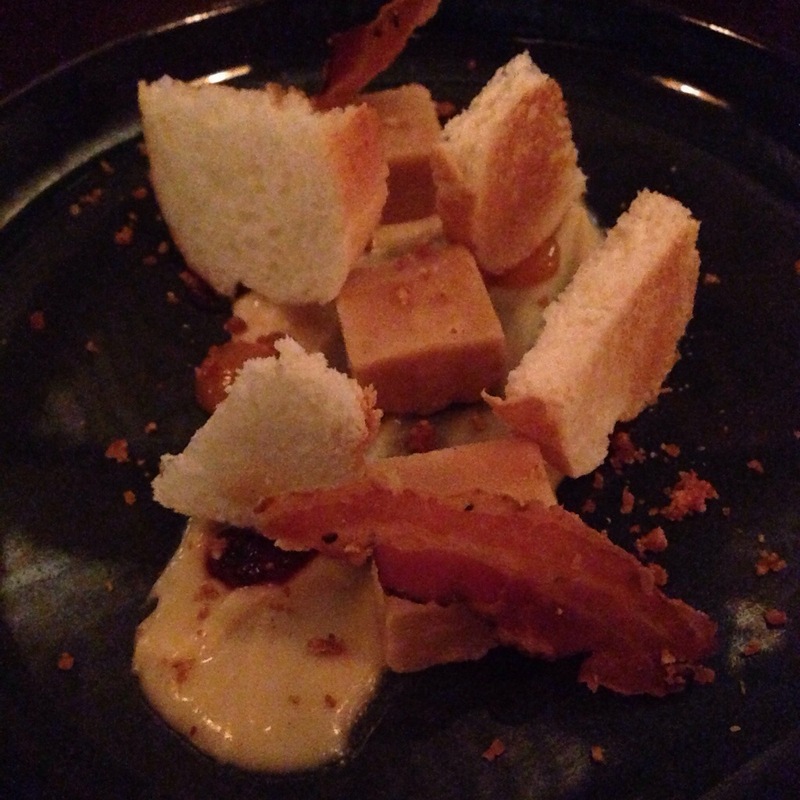 The bacon was an interesting choice, it was crispy, with a great crunch as you bit down, it added an extra salty element, and certainly is in vogue at the moment but otherwise didn’t particularly assist the dish in any way. The bread was crunchy and light, great to carry the flavours. Varnish was a very successful bar visit, with many whiskies had and much food enjoyed. The wait staff were friendly and helpful, with oodles of whisky knowledge bursting to come out. We would heartily recommend Varnish, its a place where you have a meal and a drink, a catch up with friends and can still hear yourself talk! Next PostThe rrRaw by Chris, Raw Basket!